Purpose: Families will minister in orphanages, schools and on the streets. There might also be some light construction work. This team is about families serving together, so children aged seven and above are welcome to participate with their parents. Dates: This is a one-month program, but your family can choose between 2–4 weeks that suit your summer schedule. The program will run from mid-June to mid-July, specific dates to be determined. 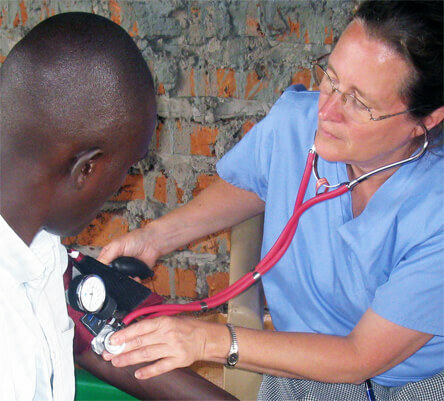 The vision of DOVE Medical Missions is proclaiming Christ to the nations through medical care. In recent years we have served in Peru, Kenya, Uganda, Iraq and Haiti. Contact DOVE medical missions by email here. Click below to read an update on DMM’s most recent outreach! The 2020 Challenge is well underway! Our goal is to see 1,000 new church plants by the year 2020. God is moving among the nations, and you can be a part of it! Pray on location around the world for new church planting. Help release a new wave of intercession! Bring change to nations! Pray on location for breakthrough in unreached areas. Join a team to cover church planting in prayer. Check back regularly for new opportunities! Ablaze, Fear to Fire. This was the theme of the youth summer camp hosted by the Living Room a DOVE church in Barbados. 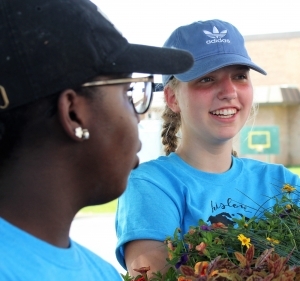 The church was joined by a DOVE Mission International team of young adults from Pennsylvania to serve alongside them as camp counselors. In five days, teens from all over the island had the opportunity to head to the YWAM base and unplug from life, engage in a variety of activities, and learn about the Father’s reckless love for them. Everyone had a blast trying out different sports, such as surfing, ninja warrior, and paintballing. Circuit games, a CrossFit course, and other games kept the competition going throughout the camp. Art workshops gave campers a new skill to learn, including metalworking and photography! There was even a chance to give back to the community in a variety of ways, such as work projects and visiting with people in hospitals and homes. God moved in everyone’s life at camp. Walls were brought down, anxiety broken, and many campers gave their lives to Jesus! In June, around 90 young people from DOVE USA churches attended EMT, a missions training camp. They received teaching and did outreach in the parks and on the streets of Reading, PA. During these times of worship, teachings, fellowship, outreach and prayer, new friendships were made and lives were transformed. Two teams headed from EMT to Haiti and Colombia to serve alongside DOVE churches. 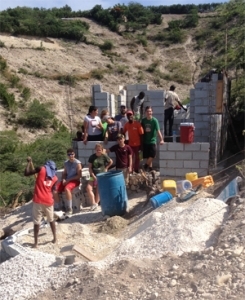 In Haiti, the team helped to build a house for a widow by carrying bricks up a hill for the local masons. At the end of the trip, the house only needed a roof, which the team had previously raised funds to build. They also ministered to local children. A second team traveled to Colombia to work alongside Juan Pablo and Adriana Muñoz, who recently moved to the city of Medellín to plant a church. The team did many outreach programs in public spaces to spread the Gospel, share testimonies and invite people to join the church. Since late June, the church has grown substantially.